As I write this post, I am finally freed from my Undergrad Student life!! Honestly, if you ask me, three years ago, I was pretty much laid back, with no interest at all, to making my university life an amazing one to remember! But new friends and new situations made this whole journey what it is today - one of the best days of my life! Truly! Anyways, enough of the rambling speech! The recipe today is a Passion Fruit Crème Brûlée! I don't have to go about telling how much I'm in love with Passion Fruit and Crème Brûlée on their own! Now think of them into one delicious concoction! 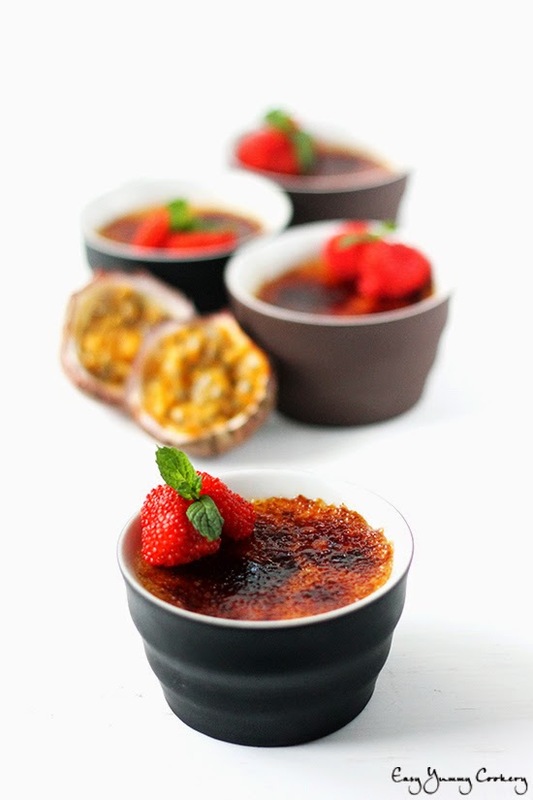 Passion Fruit Crème Brûlée; a Decadent Dessert to have in your Arsenal for any Occasion! Preheat oven to 130⁰C. Line a deep-enough baking tray with 5 ramekins and set aside. Meanwhile, combine caster sugar, and egg yolks in a bowl, and beat using a hand mixer/whisk until pale and doubled in volume. Pour cream onto the beaten egg mixture and beat simultaneously so as not to cook the eggs. Sift the mixture to remove any cooked eggs and the vanilla pod. Toss in the passion fruit pulp and mix thoroughly. Fill the ramekins with the custard 3/4 way. Add water to the tray upto 2/3 way of the ramekins. Pop tray in the oven and let bake for 45-50 minutes or until the custard has set. Remove ramekins from the oven and baking tray and allow to cool on cooling rack. Refrigerate for atleast 4 hours or upto 24 hours. Sprinkle about 1/2 Tsp of the Demerara or Light Brown Sugar on top of each custard and caramelise the sugar using a blowtorch! 1. The amount of sugar really depends on how sweet the passion fruit is. I initially used 1/4 Cup but eventually added the 2 Tbsp. So, maybe start with 1/4 Cup of Sugar and adjust the sweetness after adding the passion fruit to the custard. Looks delicious and fantastic pictures! oh... congrats upon completing ur under-grads! 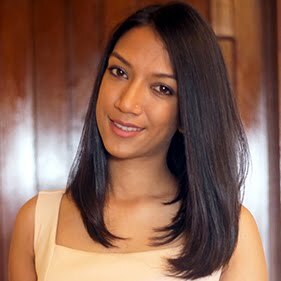 after all education is all about continuing and believe me, how much ever u grow up, going back to study even if it is for a limited phase is just so soothing!!! Love this creme brulee just like all ur dessert recipes... lipsmacking! Hi Reva...im first tym on ur blog i like the way u present ur recipes in perfect manner or beautifully.. nd this creme brulee looks so tempting nd delicious. Just cant take my eyes from ur creme brulee, just drooling here.. Congrats Reva for completing ur under grads, enjoy ur life.